Poddar further added that Cosmo is looking for a profitable and sustainable growth to remain at the top of the game. “We are a growth-oriented company with financial discipline and shall continue to be working towards our aspiration to become USD 1 billion company by revenue in next 5-6 years. The company is committed to stay focused on increasing specialty sales to attain reasonable and sustainable margins. It is possible only if we are able to control cost and achieve operational excellence in every function.” Poddar added that while this year the company is looking at revenue of INR 2,000 crore, in the next two to three years, revenue may jump to around INR 3,000 crore. With a belief in constant progression, Cosmo has planned to start a new PET line in Aurangabad in Maharashtra in the year 2019. According to Poddar, the expansion plan for next two years is in the range of INR 325 to 375 crore. “We are making sure that we are one-stop solution provider for our customers and are able to provide them the right solutions.” Cosmo’s recent possession of land in Aurangabad is an indication of how the company is readying itself for the expansion. 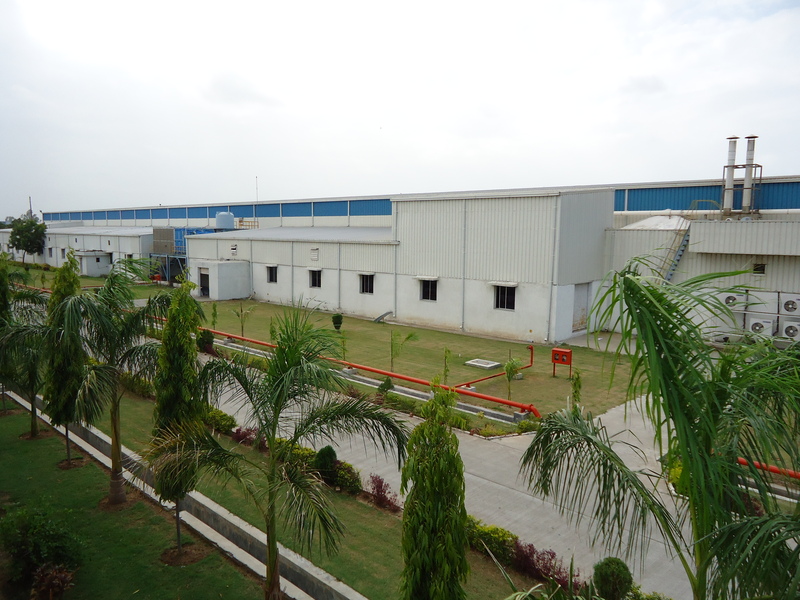 Cosmo Films announced the commissioning of its second CPP line and a fourth metallizer, both with an annual capacity of 7500 metric tonnes, in February 2018 at its existing facility at Karjan in Gujarat. With the installation of the two new lines, the company’s annual CPP films capacity will increase from 1800 MT to 9300 MT, while the metallized films will increase from 15,000 MT to 22,500 MT. “In addition to being a market leader in the BOPP sector, we have emerged as a complete film solutions provider with more offerings and value added services. Moreover, with limited number of organized CPP players in the market, Cosmo is poised to serve a larger customer base,” said Poddar. The 2.85 meter CPP line is 5-layered and is designed to produce specialty films (especially barrier films) for various packaging applications. The new 2.85 meter metallizer is equipped with advanced control monitoring system and closed loop auto deposition control system. The Karjan facility already houses BOPP lines, extrusion coating and functional coating lines, and a metallizer. In March 2017, Cosmo Films commissioned its tenth BOPP line – 10.4 meter wide – at Karjan. It is the most advanced line available in the market today in terms of width and output and is the first 10.4 meter line to be installed in the country. The line is equipped to deliver both superior quality products with minimal scratches, oil or additive spots and high surface energy as well as consistent quality due to automatic changeovers. The line is also capable of producing films as thick as 80 microns to cater to segments like textiles which require thicker films. “We are trying multiple new innovations on this line. Typically since BOPP faces the challenge of corona decaying over a period, we are putting up a new technology on this line through which corona can be retained for a longer period. We are working towards better cost control as well as manufacture high quality products – we have further strengthened this line by integrating new technologies to ensure minimum losses,” explained Poddar. The Karjan plant has been running in full capacity since last couple of months. The 10.4 meter line increases Cosmo’s annual BOPP capacity by 40% at 60,000 MT, almost 7.5 tonnes per hour. 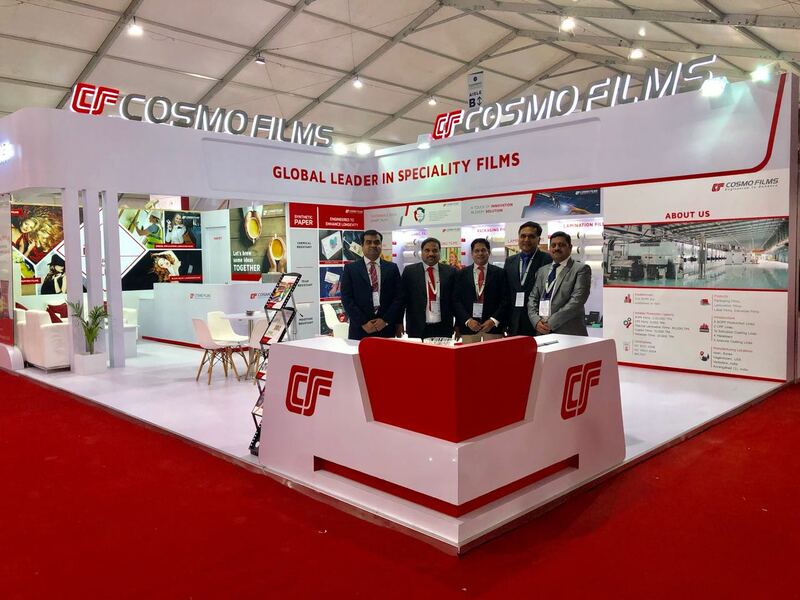 Cosmo Films showcased its specialty products at the recently concluded Plastindia 2018 in Gandhinagar, India. Some of the products which were on display include high barrier films, velvet & black velvet thermal lamination films, label stock films and synthetic paper. One of the major attractions at their stand was Synthetic Paper which is an ideal replacement of normal paper and can be used in applications where durability and longevity is desired.